For those looking to explore and experience the splendors of the Sahara desert of Morocco, we offer a number of different excursions from Marrakech and Fes. 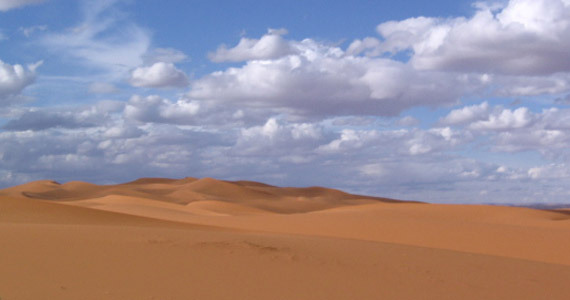 Whether you choose to enter the desert in the desert towns of Merzouga (northern Morocco) or Zagora (southern Morocco) we offer high quality and affordable accommodation, transportation and guide services. Imagine your adventure beginning with a 4×4 transfer to the Kasbah-like guesthouse perched right on the edge of the desert sand. A refreshing meal and swim and then its time to climb aboard your desert ship. Your camel and guide will whisk (well, “plod”) you away into the vast sea of sand dunes until an hour later you reach your desert oasis for the evening. 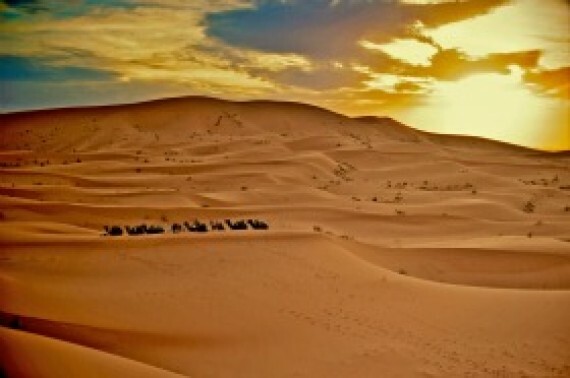 Before the sun sets, climb the high dunes and see a truly breath-taking site. 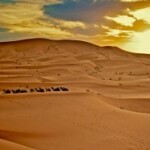 Return to your Berber tent and experience warm desert hospitality complete with dinner, tea and evening entertainment. Take a stroll out under a star-lit sky and be reminded just how special this experience is. It is truly memorable.